Cyber Monday means big savings on all sorts of electronics. Get in on the excitement now so you don't find yourself bored and gadgetless on Ordinary Tuesday. • 15.6" Lenovo G550 Dual Core Laptop with 4GB RAM for $399 plus free shipping (normally $549 - use coupon code USPDEAL10G550). • Aliph Jawbone 2 Wireless Bluetooth Headset for $49.99, Jawbone Prime for $64.99 (normally $79 and $99). • 15% off All Gunnar Optiks Products with free shipping Use coupon code DEALZ15. (Check out our review here). • 23" HP TouchSmart 1080p All-in-One Mult-touch Desktop PC for $979.99 with free shipping (normally $1,249.99 - use coupon code: SVMY478761). • Dell Vostro 220MT Dual Core Desktop with 19" LCD for $349 (normally $588). • HP Elite e9270t Core i5 Desktop PC for $879.99 with free shipping (normally $1,149.99 - use coupon code: SVMY478761). • 18.4" HP dv8 Quad Core i7 Laptop w/Blu-ray for $899.99 with free shipping (normally $1,349.99 - use coupon code: NBM7RTX). • 16.4" Sony VAIO VGN-FW520F Laptop with Zune HD 16GB MP3 Player for $799.20 plus free shipping (normally $999). • 16" HP G60t Laptop for $359.99 with $29 shipping (normally $469.99 - use coupon code: SV6462). • 15.6" Lenovo IdeaPad Y550P Core i7 Laptop for $1,061.65 with free shipping (normally $1,249.99 - use coupon code: USP15SVEBIG). • 15.6" Compaq Presario CQ61Z Laptop for $299.99 with $29 shipping (normally $399.99). • 15.5" Sony VGN-NW250F/S Intel Laptop plus 16GB Zune HD for $780 plus shipping (normally $999). • 12" Lenovo ThinkPad X200 Laptop for $767.20 plus free shipping (normally $1,399 - use coupon code USPCBRMONDAY). • 9" Dell Vostro A90 SSD Ubuntu Netbook for $206 (normally $324). • 24" Dell ST2410 1080p LCD for $184 with free shipping (normally $259). • 22" Acer X213Hbbd Widescreen LCD for $109.99 plus free shipping (normally $170). • 1TB Fantom GreenDrive GD1000EU External Hard Drive for $59.99 (normally $110 - use this form and this form). • HP OfficeJet 6000 Wireless Color InkJet Printer for $39.99 plus free shipping (normally $55 - use coupon code SVMY478761). • Logitech MX Air 2.4 GHz Cordless Laser Rechargeable Air Mouse for $69.99 plus free shipping (normally $115). • Sony PlayStation 3 Slim 250GB for $319.99 + free shipping (normally $349.99). • PS3 Slim 250GB with Infamous and Uncharted Drakes Fortune for $349.99 plus free shipping (normally $425). • The Beatles: Rockband Limited Edition Premium Bundle (360) for $199.99 (normally $249.99). • Ghostbusters: The Video Game (360/PS3/Wii) for $19.78 (normally $30). • Forza Motorsport 3 (360) for $39.99 plus free shipping (normally $50). • Assassin's Creed (360) for $9.98 (normally $19). • Dragon Age: Origins (360/PS3) for $39.99 plus free shipping (normally $50). • Need for Speed: Shift (360/PS3) for $39.99 plus free shipping (normally $50). • Tales of Vesperia (360) for $14.98 (normally $28). • Pro-Evolution Soccer 2010 (PS3) for $49.99 with free shipping (normally $59.99). • Logitech G27 Racing Wheel (PS3, PC) for $251 with free shipping (normally $299.99). • Left 4 Dead 2 (PC) for $29.99 plus free shipping (normally $40). • Gold's Gym Cardio Workout (Wii) for $9.99 (normally $17). • Tiger Woods PGA Tour 10 (Wii) for $29.99 plus free shipping (normally $40). • Madden NFL 10 (Wii) for $29.99 plus free shipping (normally $40). • The Beatles: Rock Band (Wii) for $40.00 plus free shipping (normally $50). • 52" Sharp AQUOS LC-52D85U 1080p 120Hz LCD TV for $1,179.00 plus free shipping (normally $1499). • 52" Samsung LN52A750 Red ToC 1080p 120Hz LCD HDTV for $1,399.99 plus free shipping (normally $1,499). • 50" LG 50PQ30 720p Plasma HDTV for $675.83 with free shipping (normally $999.99 - use coupon code: BONUSBUY). • 50" Panasonic TC-P50X1 720p Plasma HDTV for $691.84 with free shipping (normally $999.99 - use coupon code: BONUSBUY). • 47" Sharp LC47SB57UT 1080p 120Hz LCD HDTV for $799 with free shipping (normally $1,199.99). • 42" LG 42PQ10 720p 600Hz Plasma TV $499.99 plus free shipping (normally $547). • 37" VIZIO VO370M 1080p LCD HDTV for $499 with free shipping (normally $599.99). • 37" LG 37LG30 720p LCD HDTV for $479.99 plus free shipping (normally $599). • 32" AOC Envision L32H961 1080p LCD HDTV for $389.99 plus free shipping (normally $499). • 32" Samsung LN32A550 1080p LCD HDTV for $499.99 plus free shipping (normally $649). • 15.6" Toshiba 15LV505 LCD TV with Built-in DVD Player for $169.99 plus free shipping (normally $235). • Samsung BD-P2500 Netflix Blu-ray Player for $199.99 plus free shipping (normally $249). • LG BD370 Blu-ray Player plus Free Blu-ray Movie for $129.99 (normally $165). • iPod Touch 64GB (new 3rd gen) for $339.99 plus free shipping (normally $358). • iPod Touch 8GB (newest 3rd gen) for $169.99 plus free shipping (normally $182). • Beats by Dr. Dre Tour High-resolution In-ear headphones for $127.46 with free shipping (normally $179.99). • Creative Labs Vado HD 4GB Pocket Camcorder (2nd Gen) for $90 plus free shipping (normally $140). • Creative Labs Vado HD 8GB Pocket Camcorder (2nd Gen) for $129 with free shipping (normally $199.99). • 4.3" TomTom XL 340S Live Internet Connected GPS for $199.99 with free shipping (normally $299.99). • ooma Telo Free Home Phone Service for $199.99 with free shipping (normally $249.99). • Microsoft Zune HD 32GB Touchscreen MP3 Player for $269 with free shipping (normally $289.99). • Microsoft Zune HD 16GB Touchscreen MP3 Player for $197.99 with free shipping (normally $219.99). • HP 12-inch Digital Photo Frame for $90 plus free shipping (normally $110). • 12 oz Bag of Seattle's Best Coffee (after rebate!) for $0 (use this form). 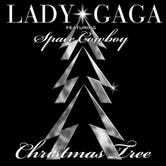 • Lady Gaga Christmas MP3 Download for $0 (use this form). • $10 Restaurant.com Gift Card for $0 (use this form). • Sample of Hugo Boss Orange for $0 (use this form). • 11 MP3 Downloads from Amazon—Peak Time Vol. 1 for $0 (use this form).